Location, location on this 2 bedroom, 2 bath condo at Courchevel. 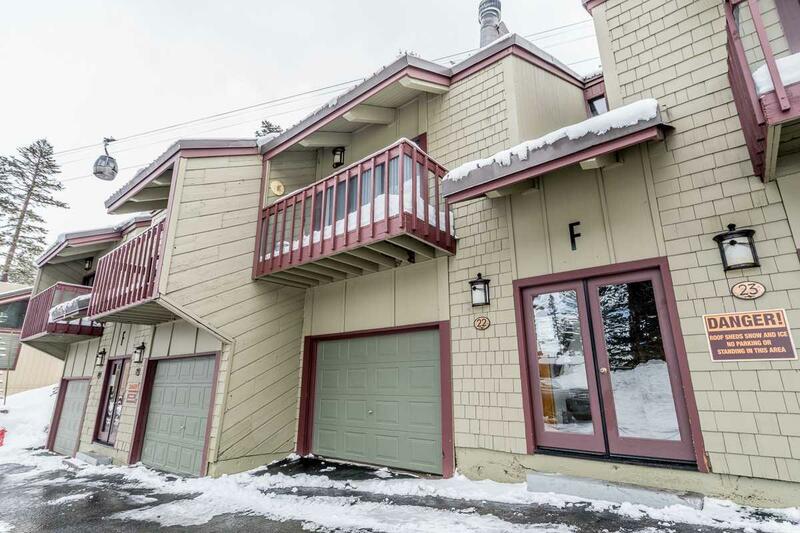 This unit is conveniently located walking distance to the ski lifts at Canyon Lodge. Furnished with washer and dryer. Open floor plan with a private balcony. Single car garage is situated just below the unit for your car and toys. Project has pool, jacuzzi and sauna. Perfect property for winter and summer enjoyment. Fireplace is not Town of Mammoth Lakes compliant. Buyer to be responsible wood stove compliance.